Plaque. The writing’s on the wall with these elegant & traditional plaques which provide a touch of class to any home or business. 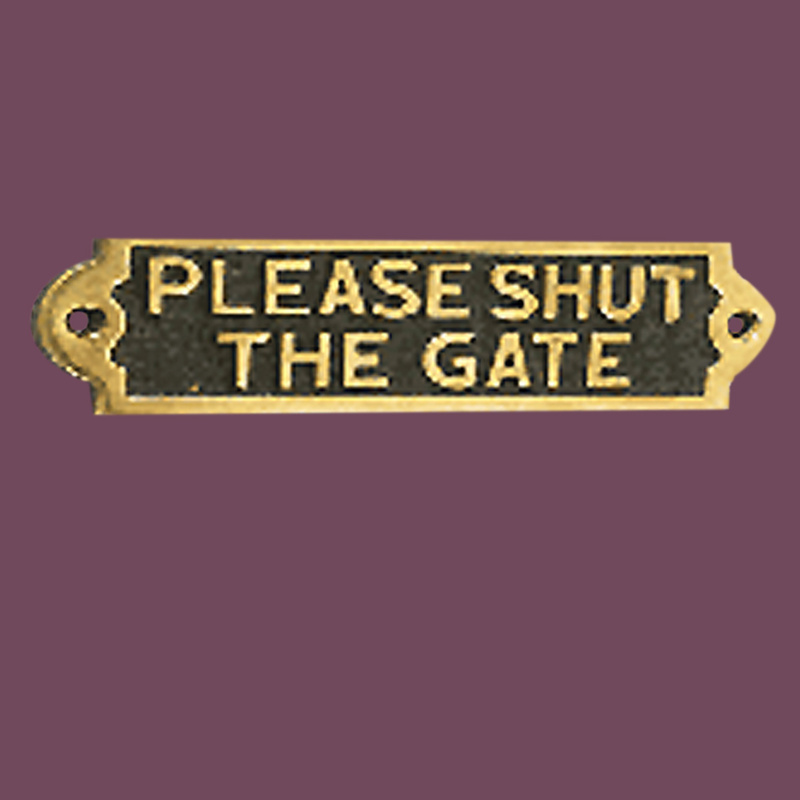 Made of 100% brass each is polished & lacquered to resist tarnishing & will provide a lifetime of good use. Can be used outdoors. 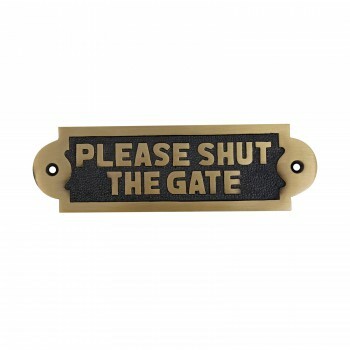 An easy way to remind guests to shut the gate. Measures: 2 1/8 in x 7 1/16 in. Very substantial weight to this. 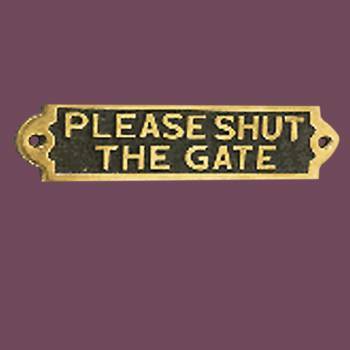 Looks nice on our gate.